Here is a great appetizer everyone will enjoy around the holidays and for any party. 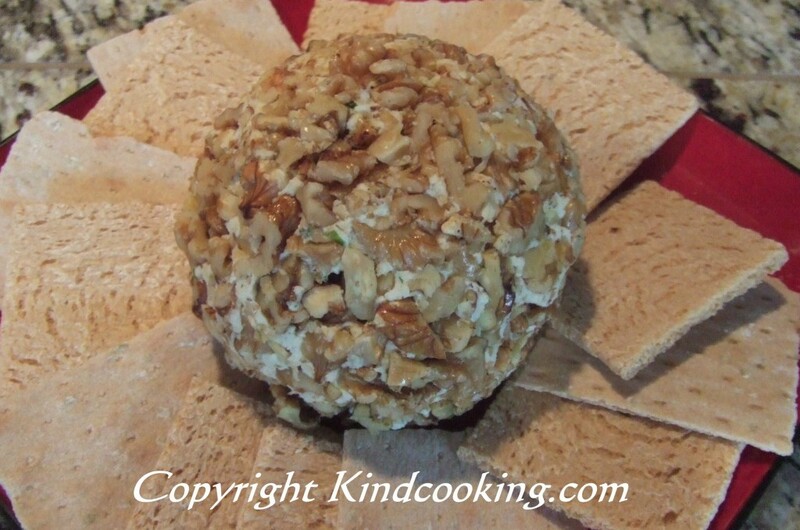 Who knew that you could make a dairy-free cheese ball? Warning! This ‘cheese’ ball disappears as soon as it is served so make sure to make a double batch if you have a big crowd! You get all the flavor and none of the guilt because this version has no saturated fat or cholesterol. So you can have your cheese ball and eat it too! 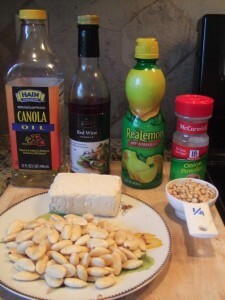 Place the almonds, the pine nuts and process quickly. Squeeze as much water from the tofu. Add the tofu, the olive oil, the liquid smoke, the onion powder and salt and blend. You may need to stop and mix with a spoon. Pour the mix in a bowl and fold in the chives. Make a ball and wrap in saran wrap and refrigerate overnight. The next day, crunch 1 cup of walnuts into small pieces and roll the ball to cover it completely. Serve with crackers, celery sticks or bread slices. You can make a garlicky version or use fine herbs of your choice. Be creative and let me know how it turned out.